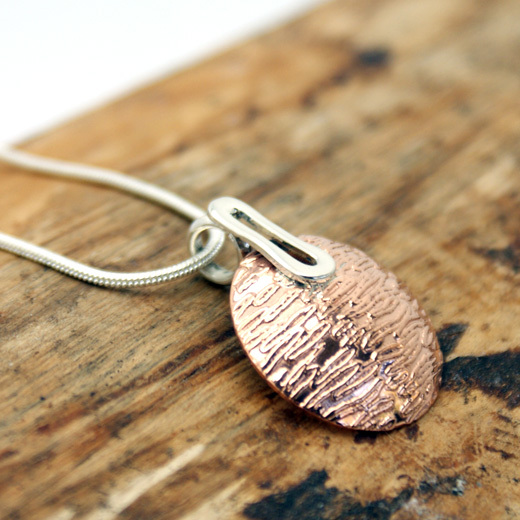 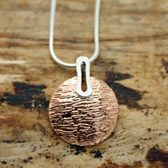 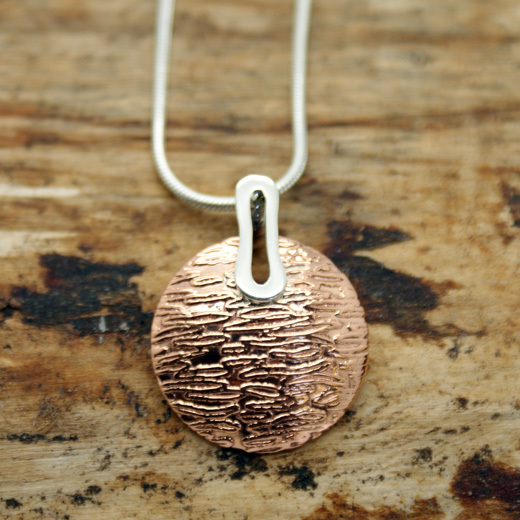 A stylish sterling silver and copper pendant from Pura Mexico. This pendant consists of a handcrafted textured copper circular pendant with a bold highly polished outline design in 925 sterling silver. 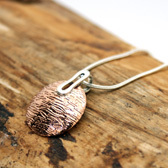 The combination of the two metals and textures are very striking, will enhance any outfit and look equally elegant with evening wear.